I was talking with a teacher friend recently about the differences between our time as high school students and students today. Surely it can’t be that bad, I replied. We faced academic and social pressures in school. We got through it. “Not like this,” my friend said, earnestly. He went on to tell me about a recent episode in which he sent a young woman to the school counselor’s office after she broke down in tears in his classroom. The reason: she received a B grade on an exam. Ask almost any classroom educator, it’s likely they have a similar story. On one end of the spectrum there are students who deal with intense expectations and the unrelenting competition of college admissions. On the other end, there are students who face the social and psychological effects of violence and poverty. Add to that the challenges presented by social media, bullying, and other daily encounters, and the reasons for such breakdowns are obvious. A 2014 study by the American Psychological Association found that teens reported a higher stress level during the school year than adults. With incidents of teen suicide increasing over the past 15 years, school leaders are looking for ways to defuse student stress before it becomes dangerous. While each school or district chooses to tackle these challenges in their own way, many have positioned the need for stronger student engagement and mental health at the core of this work. Here are three districts that have made student mental health a priority and what they’re doing to relieve students’ stress. Lexington High School in Massachusetts saw the effect of intense academic stress first-hand when one of its students committed suicide in January, as reported by the New York Times. In a town only 10 miles from the campuses of Harvard and MIT, superintendent Mary Czajkowski and her staff knew they had to change a culture that over-emphasized admission to the Ivy League, reporter Kyle Spencer writes. It wasn’t just the students who needed a change in mindset—the school made an effort to engage parents through workshops on anxiety and college admissions issues. The district also de-emphasized competition in its classrooms by eliminating class rankings. And it integrated new classroom lessons specifically to teach mental health knowledge and relaxation techniques. Changing school culture is never easy, and telling highly ambitious students and parents to ratchet down their expectations is next to impossible. But with stress levels at an all-time high, administrators in Lexington hope refocusing the district’s mission will help relieve much of that unhealthy student tension. At Roosevelt High School in Seattle, teachers and staff are teaching students to live in the moment. The school gives students 20 minutes of free time each day: to catch up on homework, check-in with teachers, or just to simply relax. Every Thursday, teachers use this special class period to teach students the tenets of “mindfulness,” or being aware of your own thoughts and feelings in a particular moment. The hope is that students will be better-equipped to think about things other than academics, to enjoy their school experiences, and to manage their anxiety. Only a few months after introducing the free periods, students and teachers report a calmer tone in their classrooms and hallways, Cornwell writes. Before retiring as superintendent of Houston ISD in Texas, Terry B. Grier knew he had to do something about rising student stress levels, he writes in a commentary for Education Week. Inspired by a program in California and New York that taught stress relief through yoga, breathing exercises, and learning to focus, he decided to pilot a similar program in his district. 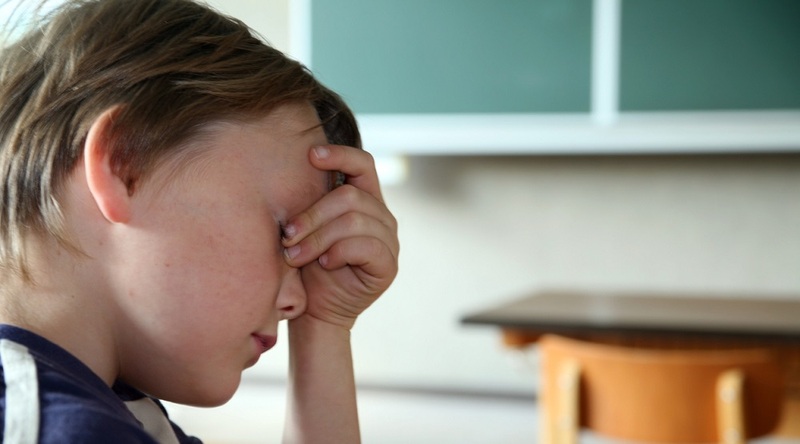 What steps is your school or district taking to battle student stress and anxiety? Tell us in the comments. 2 Comments on "Stress relief: Schools get creative to reduce student anxiety"
1. Sensory Room and Sensory Diet Awareness: Successful adults have navigated the sensory under and overload mine field. They self regulate all day in unconscious ways. At Riverside we have mindful work around training students to do this. 2. Advisory for Middle School: We all need personal connection with people we can trust. Advisory provides a purposeful opportunity for youth to connect with each other and with adults in their lives. 3. CHOICE: Students get to choose classes that interest them and ignite passions. Riverside offers Bridge, Chess, Acting, Service Learning, etc. 4. Monday Morning Meeting: Taking time to celebrate success and plan for the week ahead helps adults and students alike relieve stress. 5. Growth Master Recognition: Celebrating student growth and not just proficiency allows students who struggle academically to see that their efforts pay off. Young people have to deal with so much stress in today’s world. It’s wonderful see schools taking notice and providing ways for them to cope and excel. Congrats!